Spring is definitely here. 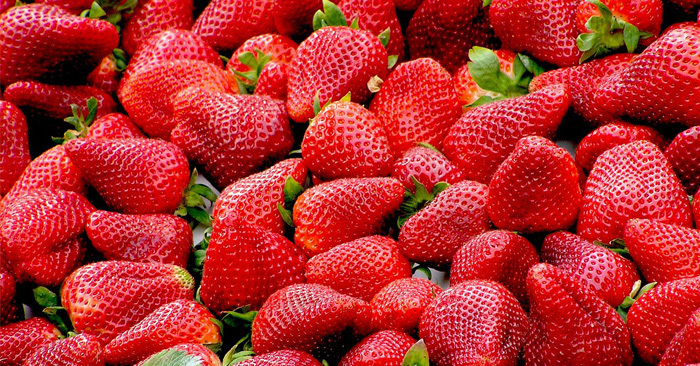 Which means one of our favorite fruits is popping up in fields everywhere…Strawberries! Just thinking about walking through row upon row of those wonderful, tasty red berries makes our mouths water! There is nothing quite as delicious as a big, red, juicy strawberry, fresh off the plant and there are so many great places in the area to get fresh strawberries like Thies Farms in St. Louis City, Thierbach Orchards in Marthasville, MO, or the annual Kimmswick Strawberry Festival in Kimmswick, MO. But we decided to go to one of the biggest pick-your-own strawberry farms in the area, Eckert’s Farm and Country Store in Belleville, IL. for the ‘dirt’ on how to make the most of your berry picking experience. Eckert’s has been growing strawberries at its farm for more than 50 years. In a typical year, their strawberry crop begins ripening in mid-May, but our unpredictable Midwest weather always dictates the final ripening date which changes year to year. While Eckert’s is also known for their amazing peaches, blackberries, apples, and pumpkins; strawberries are the first fruit crop to ripen on the farm. Picking your own strawberries is a real treat for the kids and a fun adventure for the whole family and we guarantee there’ll be plenty of laughs (as well as plenty of strawberry stains!). – Bring comfortable walking shoes that are OK to get a little dirty. – Wear light, breathable clothing that you won’t mind getting a red stain or two on. – A hat. The wider the brim, the better. – SUNSCREEN! At least SPF 30. Only the strawberries should be red after this adventure! – Most strawberry farms allow you to *ahem* sample the product before you load up your basket, but just to be sure, ask the farmer if it’s alright to eat a few of the berries along the way as you pick. – Look for bright red strawberries, with the green caps (hulls) still in place. – Keep the hull on the berry until they’re ready to be eaten to stop it from losing nutrients. – Make sure there’s no mold on any of the strawberries because once one berry grows mold, the other berries quickly ‘go south’. 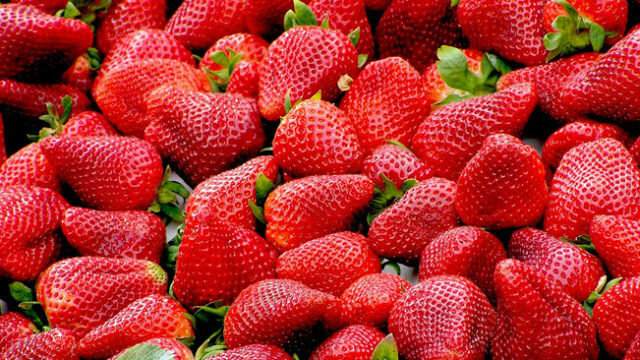 – Use strawberries as soon as possible after they are picked or purchased. – Wash berries immediately before using. – Never soak your berries to clean them. They’ll lose their color, flavor and turn to mush. – Loosely cover unwashed berries with dry paper towels and plastic wrap. – Make sure to keep strawberries in the coldest part of your refrigerator. – When you are ready to use the strawberries, rinse them in a colander and remove the hulls. Get more info on pick-your-own at Eckert’s at their website www.eckerts.com. Want to find more ‘pick your own’ farms in Missouri? Tap here. 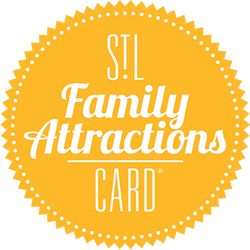 Looking for another location in Illinois? Here you go! And here’s a delicious Strawberry Bruschetta recipe you can make with all of those fresh picked strawberries! Toast both sides of bread. Set aside. Heat 10-inch skillet over high heat. Add brown sugar, lemon zest and juice. Cook, stirring continuously until sugar melts and mixture begins to bubble, about 1 to 2 minutes. Add strawberries and stir until strawberry juice begins to release, about 30 seconds. Remove from heat. Spread 1 tbsp softened cheese on each piece of toasted bread. Top with warm berries. Drizzle with honey. Makes 4 servings.